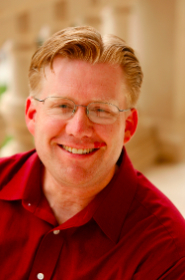 Dr. Wesley Fryer (@wfryer) is a teacher, author, speaker, and the Director of Technology for Casady School in Oklahoma City. He is the co-host of the weekly “EdTech Situation Room” webshow and podcast (@edtechSR) and co-leads afterschool coding and STEAM clubs for elementary students. He is the author of several books on effectively using digital technologies to communicate, tell stories, create media projects and develop STEM / STEAM coding skills. (www.wesfryer.com/books) Wes leads 3 day Make Media Camps (@MakeMediaCamp) and iPad Media Camps (@iPadMediaCamp) with his wife, third grade teacher Shelly Fryer (@sfryer). In these hands-on, BYOD workshops, teachers learn how to effectively use digital devices in the classroom with students to create narrated slideshows, quick edit videos, interactive writing, and other kinds of media projects. Wes became a Google Certified Teacher in 2009, was named an Apple Distinguished Educator in 2005, and a PBS Digital Innovator in 2014. He helps organize EdCampOKC (@edcampOKC) and GCampOKC (@GcampOKC) in Oklahoma City and was an organizer for the free, K-12 Online Conference (@k12online) from 2006 to 2017. Wes teaches coding and virtual design/collaboration workshops for teachers and students using MinecraftEDU / Minecraft Education Edition and Scratch software. He and Shelly are the parents of 3 wonderful kids. His professional blog and podcast is “Moving at the Speed of Creativity” (www.speedofcreativity.org) and focuses on technology integration in the classroom, digital literacy, digital citizenship, and blended learning. To inquire about availability and booking, please contact Wes using this electronic form. 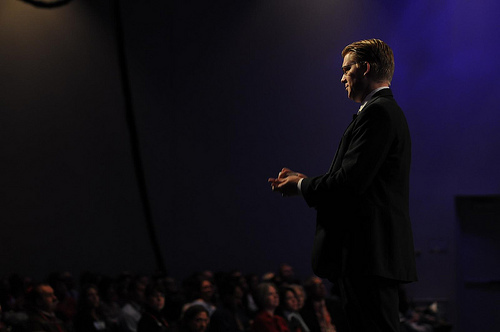 Wes’ online press kit is available with photos and more information for conference / event organizers. * Since 2005 Wesley has presented keynotes, workshops and other professional development / conference sessions in mainland China (2007, 2009 & 2011), Hong Kong, New Zealand, Egypt, Qatar, The Dominican Republic, Canada and Brazil in addition to numerous U.S. states. Watch this 6.5 minute video on “Why Playing with Media and Mapping Media Matters” to hear some of Dr. Fryer’s ideas about multimedia communication. Fuel for Educational Change Agents – sporadically!